Caption A map for a self-guided walking tour of public sculpture. Folds in eighths. Top: front and self-mailer panels. Descriptions of the art program, temporary art and the art park. 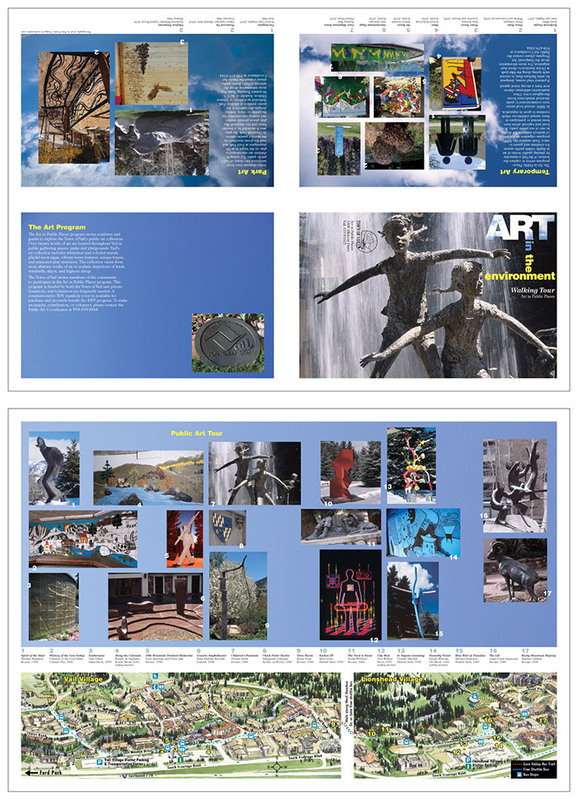 Bottom: Images of art on the tour and guide map.